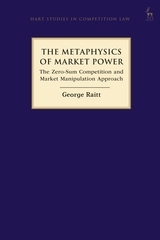 George Raitt is a consultant at Piper Alderman, a national law firm in Australia. He has practised as a principal for over 30 years, in most areas of corporate and commercial law. Prior to joining Piper Alderman, George was a partner in Blake Dawson Waldron (now Ashurst) for 12 years. He is also qualified as a Chartered Accountant, and holds a Master of Tax Laws from the University of New South Wales. He has a Ph. D from Deakin University on the adaptation of literature to film. George has acted for a range of private sector and public sector clients, particularly in the science and technology sector, including commercial enterprises, collaborative ventures, universities, medical research institutes and not-for profit organisations. He was a founding director of the Olivia Newton-John Cancer Research Institute. He is a sessional lecturer in the Monash University Faculty of Law, lecturing in competition law and copyright and designs law at graduate and undergraduate levels. He has also lectured in equity and trusts, and patent law.